Proverbs 19:20 says to hear counsel and receive instruction, that you may be wise in your latter days. The Bible is full of exhortations for brothers and sisters in Christ to turn to each other for correction and counsel. The apostle Paul encouraged the Galatian church to bear each other's burdens (Gal. 6:2) and that if anyone is caught in a transgression, to meekly restore them (v. 1). It was Paul who also warned Christians to not be deceived: "bad company corrupts good morals" (1 Cor. 15:33b). When it comes to receiving counsel, you need to use discernment. In his book You Are Next, Rev. Samuel Rodriguez maps out and discusses three different types of criticism, using the Bible as his guide. "No matter how uncomfortable a friend might be in sharing his remarks, he knows that leaving things unsaid—or worse, telling you what you want to hear—is not really loving you well," Rodriguez says. He points to the prophet Nathan, who confronted King David about his affair with Bathsheba. Rebuking the king was not an easy feat, but Nathan chose to glorify God by speaking truth. "'Why have you despised the word of the Lord by doing evil in His sight?'" (2 Sam. 12:9a). Rodriguez encourages you to pay attention to criticism that intends to correct you and reorient you to God. According to Rodriguez, this is the most deceptive group. "These so-called friends intend their flattery, encouragement and instruction to harm you without your knowledge," he says. Rodriguez points to Judas, one of the 12 disciples handpicked by Jesus to be a part of His ministry. And yet Judas betrayed Jesus, handing Him over to be crucified. Rodriguez emphasizes how Judas feigned loyalty even in the midst of the betrayal. "While He was yet speaking, a crowd came. And he who was called Judas, one of the twelve, was leading them. He drew near to Jesus to kiss Him. But Jesus said to him, 'Judas, do you betray the Son of Man with a kiss?'" (Luke 22:47-48). Though Jesus was well aware of Judas' agenda, with our limited human perspectives, we can easily be fooled. "These critics do not mind attacking you directly." Rodriguez distinguishes a third category that spreads like a deadly disease. The biblical example he points to are the Pharisees. They criticized Jesus about defying the Law and the Prophets and ignored His assertion: "Do not think I have come to abolish the Law or the Prophets. I have not come to abolish, but to fulfill" (Matt. 5:17). The Pharisees criticized Jesus for healing on the Sabbath, the day of rest. Grieved by the hardness of their hearts, Jesus challenged them, "Is it lawful to do good or to do evil on the Sabbath, to save life or to kill?" (Mark 3:4b). "You must confront them at times, just as Jesus did, and speak truth to them in the loving authority of the Holy Spirit." In his book, Rodriguez pinpoints the main difference between good and bad criticism: It's not about which one makes you feel good. It's about which one points you to Jesus. "You must never let [critics] distract you or divert your attention from your relationship with God and His purpose for you," he says. 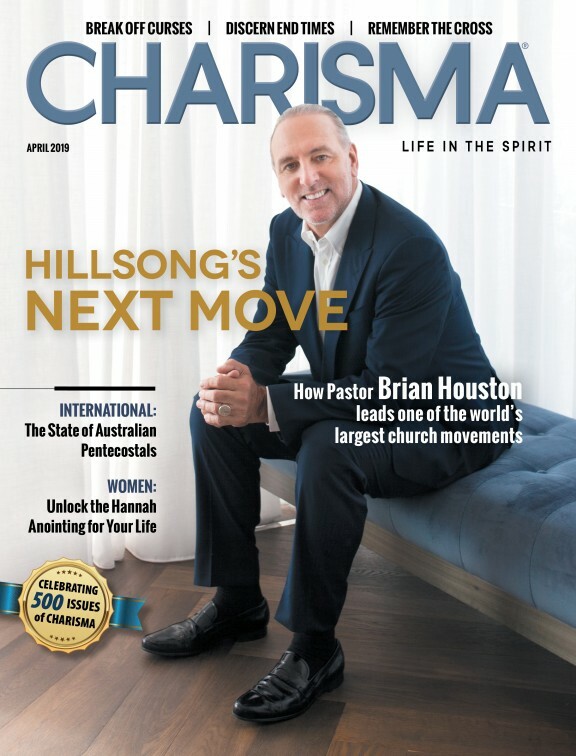 This article is based on You Are Next: Destroy What Has Paralyzed You and Never Miss Your Moment Again (Charisma House, 2019) by Rev. Samuel Rodriguez. Rodriguez is the president of the National Hispanic Christian Leadership Conference, the world's largest Hispanic Christian organization. He was named among the Top 100 Christian Leaders in America by Newsmax in 2018, and Time nominated him as one of the 100 most influential people in the world in 2013. Rodriguez has advised Presidents Bush, Obama and Trump and frequently consults with members of Congress to advance immigration and criminal justice reform as well as religious freedom initiatives. He is the best-selling author of Be Light and executive producer of two films. He likewise serves as co-founder and lead pastor of TBN Salsa. Rodriguez serves as senior pastor of New Season Christian Worship Center in Sacramento, California.